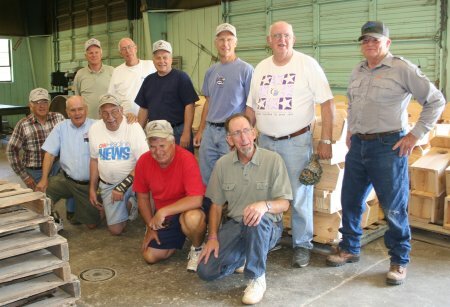 Every other Monday morning, a group of volunteers meet at our warehouse in Warrenton to assemble bluebird houses. These volunteer craftsmen work hard to fill an apparently insatiable appetite of bird lovers to provide homes for bluebird families. Our volunteers can sometimes assemble up to 1300 bird houses in a day.